A driven factor for many seeking labor comes from family, pay wage, and fair access to resources. As many Mexican Americans were moving around the United States looking for a job that would help provide for themselves and their families sustainability many faced challenges. Many individuals were seeking additional support and help. Ultimately, understanding the opportunity lapse that other countries have than others. For instance, health care, education opportunities, and religious freedoms. Within the years many Mexican American began by entering the United States because of the contractors seeking extra labor help. Shortly after, introducing the Bracero Program which sparked between Mexico and the US to allow Mexican men to enter the States to work manual labor during the World War II. The Bracero Program lasted longer and was still attracting more Mexican men to enter the United States because of the desperate need of work. Men would still enter the US even without a contract and stayed which began the search for more jobs in different areas on field like the railroads. Heading up north many arrived to Chicago for factory and domestic work which eventually set a goal for many to enter the railroad industry. 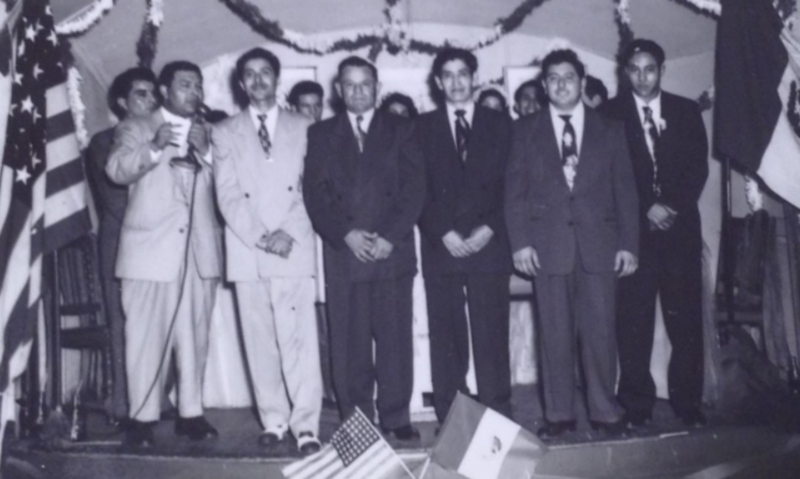 As mentioned before, many Mexican Americans migrated throughout the US seeking for work. Desiring the railroad industry many found themselves following family. As for Grand rapids being an industrial field many found themselves working in factories, domestic (hotels, house cleaning), and even furniture production. Additionally, many had family or relatives near the area either living together or close by that pushed many to seek work up north.